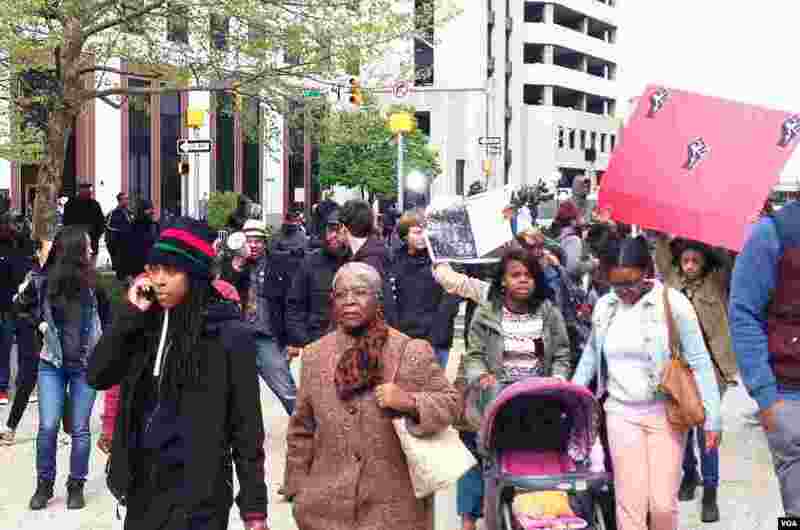 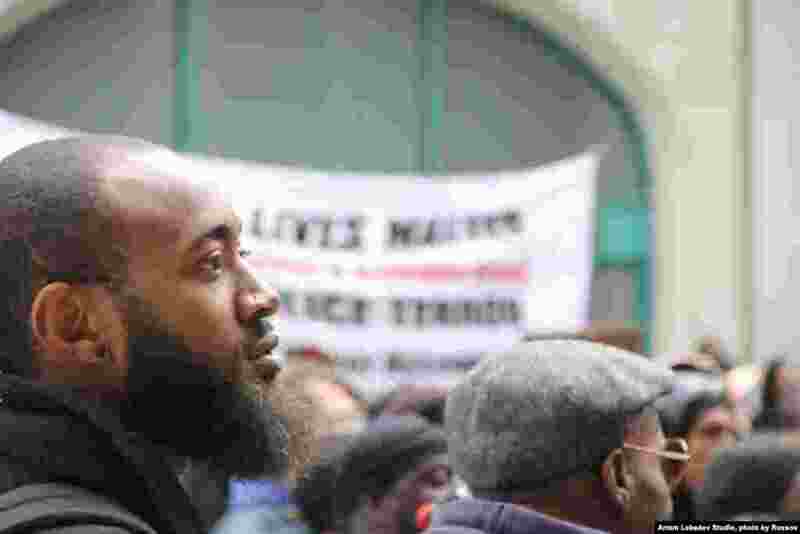 Protesters demand justice, accountability in the aftermath of the death of Freddie Gray. 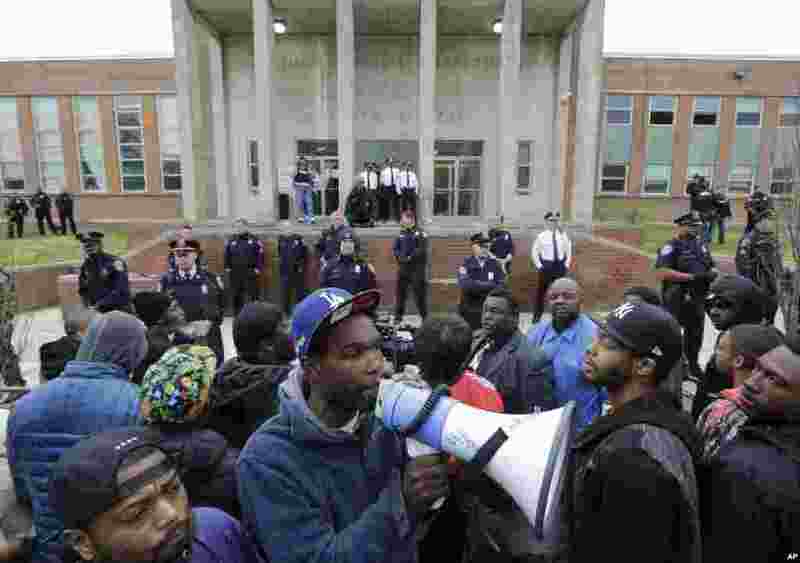 5 Protesters stand outside the Baltimore Police Department's Western District police station, April 23, 2015, in Baltimore. 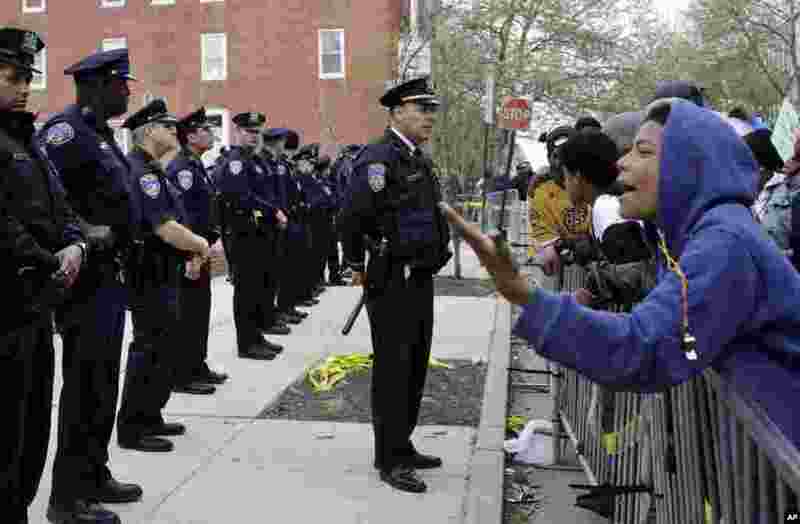 6 Members of the Baltimore Police Department stand guard outside the department's Western District police station during a protest for detainee Freddie Gray who died in police custody, in Baltimore, April 23, 2015.